There is also a training camp available 19th and 20th to help prepare for competition. Go to www.FonsecaMartialArts.com for more information and to register for the tournament online (only online registrations accepted). CONGRATULATIONS Taylor and Michael Henske !! Taylor and Michael Henske who competed as brown belts in the Black Belts division and took home medals in all areas; Kata, Kumite and Kobudo. We are proud of the way Taylor and Michael competed with honor, respect, skill and great sportsmanship. 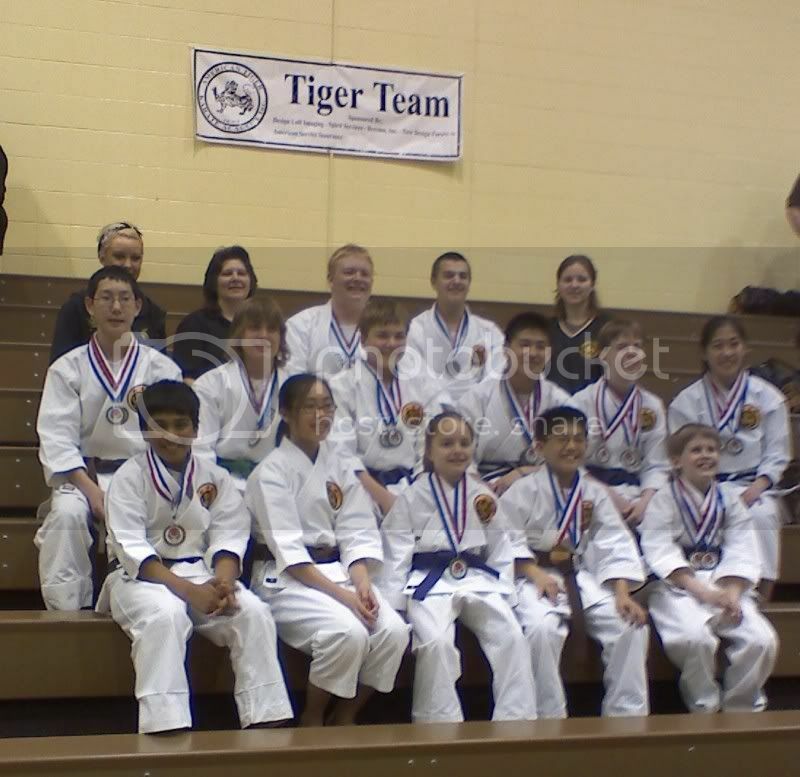 Congratulations to ATKA students who medaled and became District Champions. They all qualify now to attend the AAU Nationals this Summer. Pat Pusateri, Team members and parents will be volunteering at the Community Thanksgiving Dinner for Seniors in Elk Grove Village held at Christus Victor Church on Arlington Heights road. Team members Amy Blackwell, Robby Uehara, Kenji Horibe attended this special black belt training seminar at Traditional Karate Center Dojo in Wilmette, IL. Click on "Photo Album" to view tournament photos. ATKA TIGER TEAM WINS IN NY 2008 AAU NATIONAL CHAMPIONSHIPS !